A little summer fun, combined with some summer learning, and a bit of travel tech. Today, I traveled from Connecticut to Maine, for the free Microsoft Virtualization for VMware Professionals, where I'll use my eSATAp cable to non-destructively install Hyper-V on my laptop Wednesday July 17th, 2013. 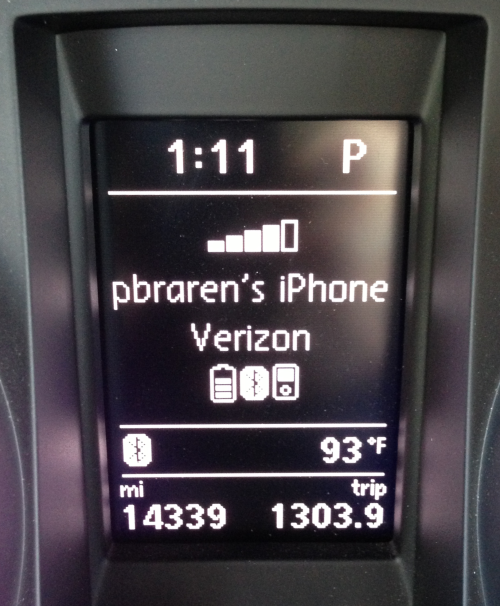 Rental car had good Bluetooth integration, really convenient for enjoying podcasts on such a long trip. Anybody out there able to guess the car maker? 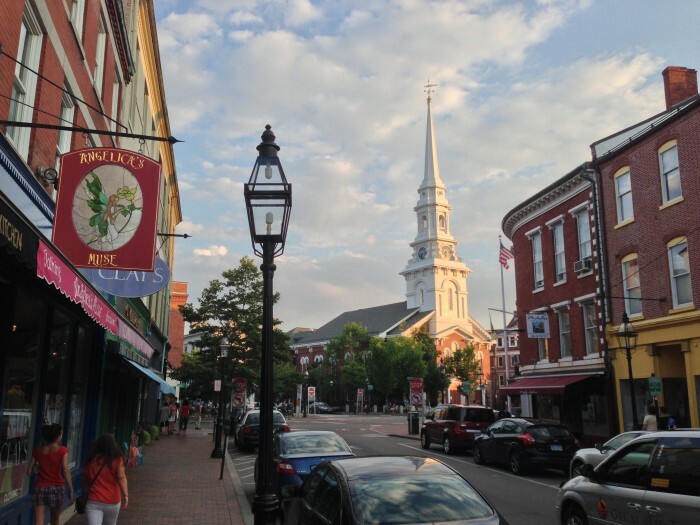 Next, this Thursday, I'm heading to the VTUG Summer Slam 2013, aka, Gritty's “Lobstah Bake”, see the impressive full agenda here. Very much looking forward to it, as many folks have told me over the past few years that it's well worth the long drive. 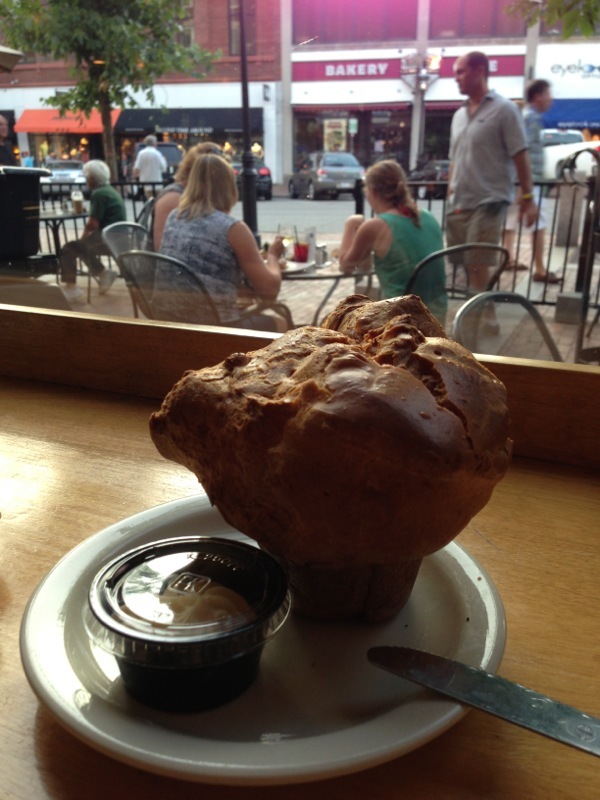 On my way up, I just had to stop at beautiful Portsmouth New Hampshire on the way, for a lobster roll at River House, and popovers at Popovers On The Square. What a pleasant seaside town to visit, see for yourself in the photo I snapped below. Taken at the golden hour before sunset. Yes, it's an example of HDR, which helps greatly in such varied lighting. This photo is not retouched or filtered in anyway. I sure look forward to camera phones with a nice wide angle lense, and optical zoom! 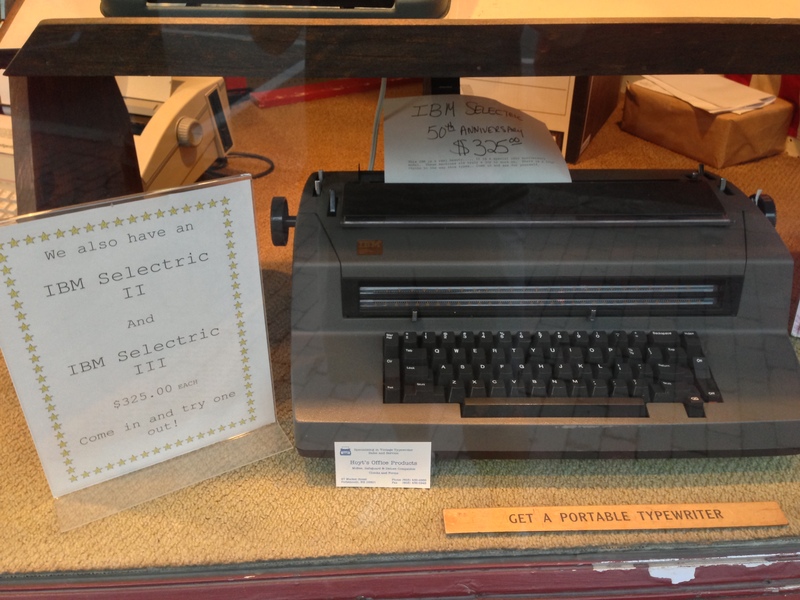 Heading back to my rental car for the hour north to Brunswick Maine, I got a kick out of this window display at Hoyt's Office Products, yes, that's an IBM Selectric II! See also the related Google+ post here. Time for bed, nice that the Hampton Inn thought to provide a new bed-side dual USB charger, called the ChargePoint.